A view on to the beach at Port an Eas from the top of the hills around the small cove. The sun glistening on the clear water. Towards the right you can see the burn from the waterfall running down to the beach and into the sea. 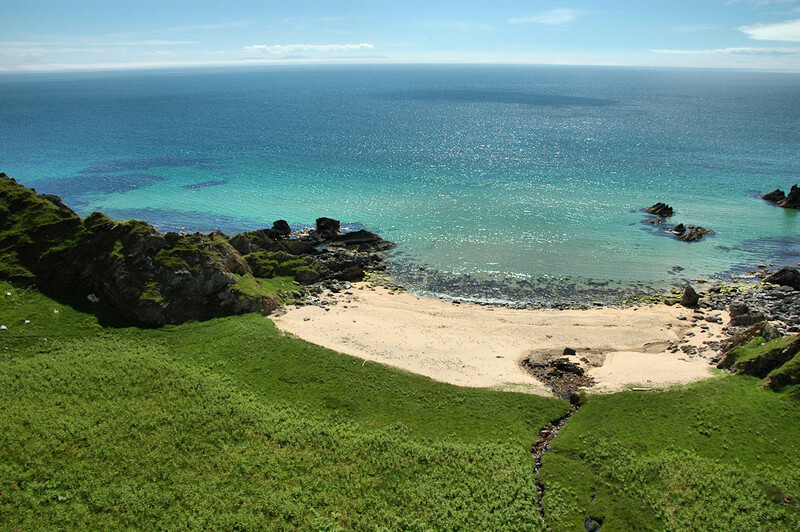 This entry was posted in Beaches, Landscape, Repost, Sunny Weather and tagged Islay, Port An Eas by Armin Grewe. Bookmark the permalink.